Joe Sammen has been working for over a decade to improve the health of communities—both across the nation and around the world. At his core, he believes the desire for good health is the closest thing our society has to a universal goal, making the promise of health equity an incredible call to action for people from all walks of life. As Executive Director, his work at Center for Health Progress maximizes his great talents as a relationship-builder, researcher, and communicator, to engage and mobilize health leaders and community residents, empowering them to improve the health of their community. As a leading expert on collaboration, health equity, and health care systems change, Joe advises and coaches state and local leaders and works closely with communities around the state of Colorado providing technical assistance in facilitation, research, strategic visioning, and networking. He serves on the advisory board of Denver Health’s Center for Health Equity. He also serves on the board of 10.10.10 and on the PACT Council for community engagement with the University of Colorado’s medical campus. 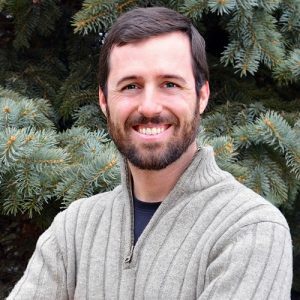 Joe earned bachelor’s degrees in biology and computer science at the University of Denver and also holds a master’s in public health from the University of Washington. He has been a part of the Center for Health Progress team for over seven years. See what Joe has to say in his blog posts.